America’s challenges in the 21st century are many, serious and complex. Energy vulnerabilities have prompted the U.S. government to consider increased commitments not only to civilian nuclear energy, but also to extremely sensitive nuclear fuel-making activities. At the same time, the United States and its allies are trying to prevent nuclear energy and weapons-making material from spreading, especially to hostile regimes. These are some of the very same strategic challenges that Albert James Wohlstetter (1913-1997) and Roberta Mary Morgan Wohlstetter (1912-2007) anticipated decades ago. Over the course of their nearly 50-year careers in strategy, the Wohlstetters produced hundreds of writings that analyzed strategic policy issues including Persian Gulf instabilities, America’s energy vulnerabilities, the military potential of civilian nuclear energy, nuclear proliferation, nuclear and non-nuclear deterrence, missile defense, alliance dynamics and cohesiveness, and violent extremism. But by and large, Albert and Roberta’s writings remain widely dispersed, poorly catalogued and, in many cases, difficult for all but the most determined to find. This site aims to help solve this problem by providing decision-makers, policy analysts, journalists, academics and students with access to Albert and Roberta’s primary writings, as well as a clearer understanding of the full scope, historical context and continuing relevance of the Wohlstetters’ respective careers and contributions. This site is a project of the Nonproliferation Policy Education Center (NPEC), an organization based in Washington, D.C., and Robert Zarate. 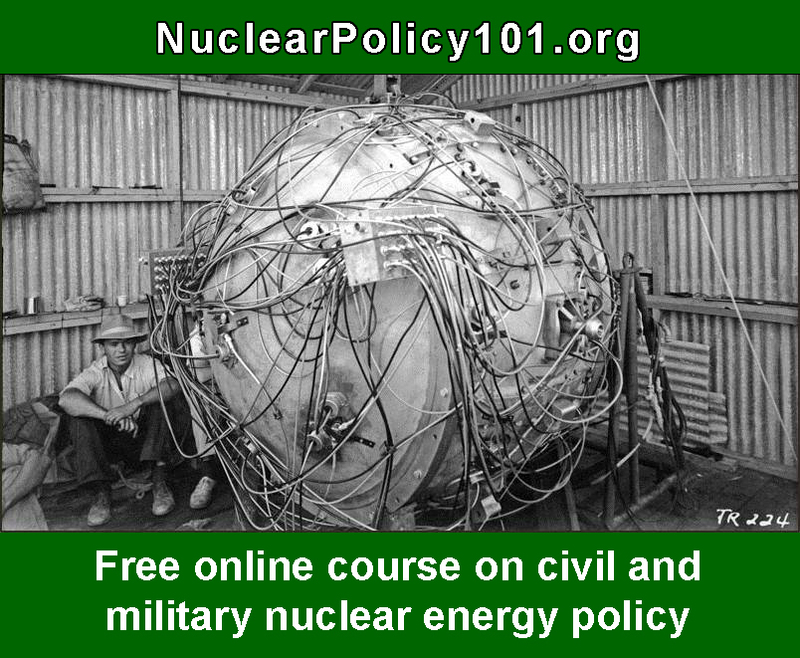 Nuclear Policy 101 is a free online course of instruction on civil and military nuclear energy policy issues. The Nonproliferation Policy Education Center is a 501(c)3 organization that works to clarify emerging strategic weapons proliferation threats and the options for mitigating them for military planners, civilian officials, diplomats, and the media and to help academics research and teach these topics.